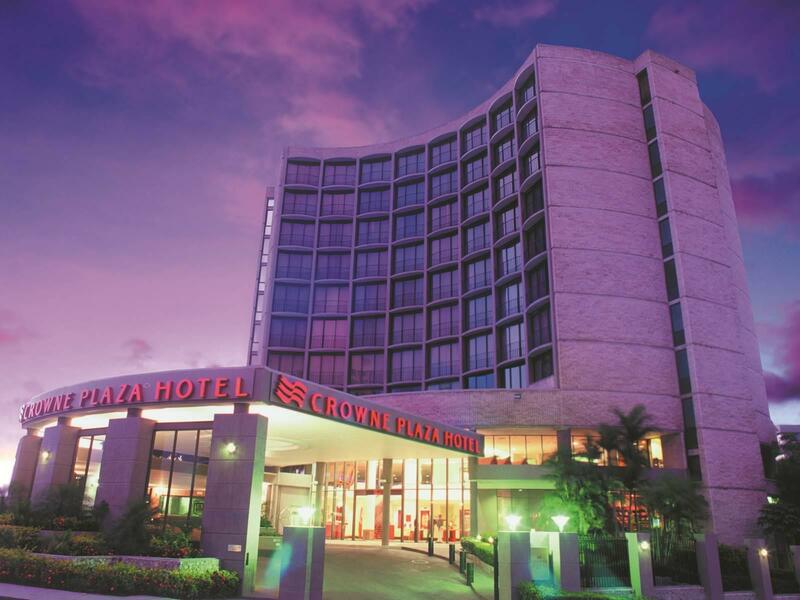 يتميز فندق Crowne Plaza Port Moresby بمسبح في الهواء الطلق وسبا نهاري ومطعميّن وبار كوكتيل، ويبعُد مسافة 5 دقائق سيرًا على الأقدام عن شاطئ إيلا، وتشتمل جميع أماكن الإقامة على تلفزيون بشاشة مسطحة، وتوفر إطلالات على بحر المرجان أو المرفأ، ويمكن للضيوف الاستمتاع بنقل المطار مجانًا. يقع فندق Crowne Plaza Port Moresby على بُعد مسافة 20 دقيقة بالسيارة من مطار جاكسون الدولي والمتحف الوطني ومعرض الفنون، وتبعُد مماش حدائق كابيتال النباتية الوطنية مسافة 25 دقيقة بالسيارة. يوفر فندق Crowne Plaza Port Moresby خدمة أمن على مدار الساعة، ويتميز بمركز للياقة البدنية ومواقف مُغطاة آمنة للسيارات في الموقع ومكتب للجولات السياحية، ويمكن للضيوف الاسترخاء على كراسي الاستلقاء للتشمس بجوار المسبح أو الاسترخاء مع المساج أو علاج الوجه في لوتس سبا. تشتمل خيارات أماكن الإقامة المكيفة على غرف خاصة وأجنحة، وتشتمل جميع أماكن الإقامة على تلفزيون مع قنوات فضائية وثلاجة ومرافق صنع الشاي/القهوة، كما تشتمل على حمام خاص مع دش أو حوض استحمام ومجفف شعر وأردية حمام. يقدم مطعم Rapala قائمة مشويات ومجموعة مُختارة من النبيذ الفاخر، فيما يقدم Pondo Tavern المأكولات العالمية، ويتميز بتراس فناء يوفر إطلالات على البحر. تتوفر خدمة النقل من وإلى مطار جاكسون الدولي مجانًا، ويُرجى إبلاغ فندق Crowne Plaza Port Moresby مُسبقًا في حال الرغبة في استخدام هذه الخدمة، وذلك باستخدام بيانات الاتصال الموجودة في تأكيد الحجز. Smell takes some getting used to -need to use dehumidifiers to get rid of the damp old smell. Gym - only 20% of the machines were working. Not much connection or help for day trips or tourism support. Friendly staff. Was allowed to check in much earlier which was most appreciated. Food is good. 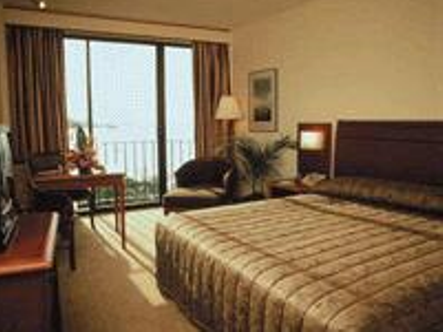 I regularly stay at Crowne for convenience when on business in POM. While the food is good, staff are very friendly, and overall place has charm and is adequate, by 2014 standards the premises are tired. The hotel needs a good make-over from top to bottom and in all areas. It has a certain charm but is dated for what it charges clients. With limited choices in POM, everything being over-priced, and movement after 6 restricted; you don't have many options to pick from. Double charged on check out even after paying through you. I was double charged for the room. They did not have record of my payment via agoda and i was charged on check out. 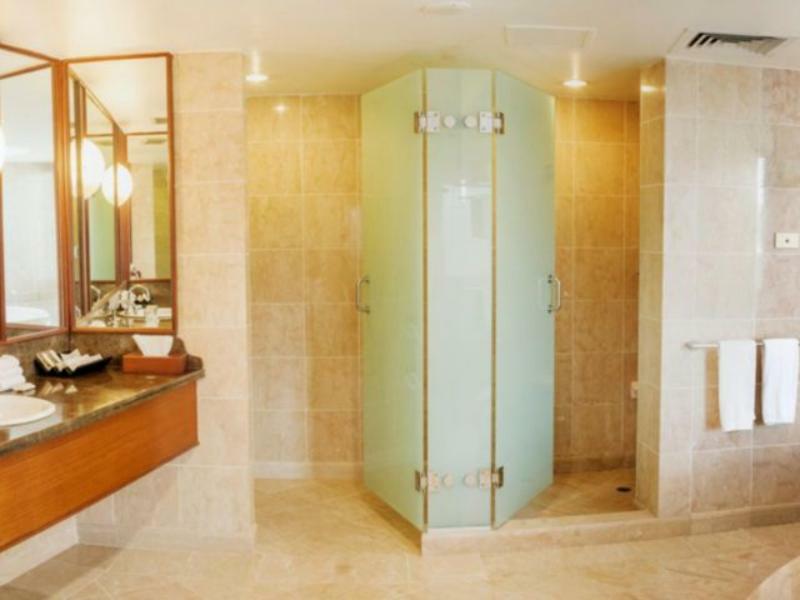 Good location and the distance is reasonable that takes 15 minutes from airport to hotel. 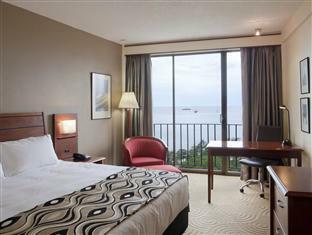 It has been the premier hotel of Port Moresby for many years however has been eclipsed by the new neighbor. No drinking water in the room, very limited & ordinary menu in main dining room. Nothing bad but seriously needs a serious GM to improve basic functions. Friendly and helpful staff do assist. Location next to Sunway Lagoon. My family of three came to the same hotel four years ago. It does not change too much but the building itself looked very poor because of the mellow paint. The room I stay is now havng the view to the circular restaurant. It is noisy enough to stop you from continuous sleep in the morning. It is hardly find a carpark space as it is too full. The carpark is lack of maintanence. It looked very poor too. A little bit disappointed. Staffs are still OK. Quite polite and work efficiently. No selling point unless the price is lowered. I extended another two nights and checked out on 19 Dec 12. Since it was not safe to walk around at POM, I had 3 meals at hotel almost every day. The veggie appeared to be mellow, may be near the end of the weekend. More customers visiting the hotel helped clear the weekly-leftover food. As a result I guessed, on Mon and Tue, the food looked fresh and green again as well as the meat! I enjoyed it. Also the food leftover during the lunch, it appeared again at night so I had the same food on such days. The biscuit next to the cheese near the kitchen exit was not crispy anymore. The feeling was disgusting. Can someone check it? The management may get used to the banging sound which came from door to the swimming pool. It was very annoying when you were having a relaxing meal after a tiring job the whole day. Why no one noticed it. The bar making drinks also allow the TV volume so loud. Can it be more quieter in such environment? The staffs are very polite. Quite good. Have stayed at the Holiday Inn a few times. It is a bit old and shabby but in PNG this is the norm. When in Moresby I prefer this hotel to others simply due to the expansive outdoor area. The bar out there is good to enjoy the balmy evenings with workmates. just because there is a boom of industry projects ... it seems that this hotel thinks they can just charge what they want. & it goes for most accomodation houses in pt moresby.. grossly over priced... standard of the hotel is probably a 3 star in my book, based on other 3 star places i have stayed around the world.. the hotel is certainly in need of a refurb.. carpets are worn , smell etc... meal were ok.. but nothing flash.. mainly the "greasy stuff"
another great stay in a challenging country. 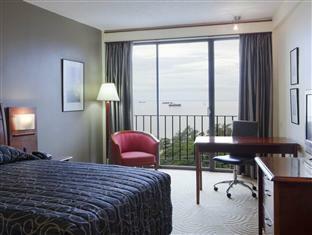 upper level rooms have the most awesome views, beds and rooms are comfortable and good security. easy access tot he airport. has all the basics for a comfortable stay. repeated power and the odd water cut but that's life. room services are fast and pleasant.